"Goal!" says Clive Tyldesley and Andy Townsend. To this day it never gets old hearing that one word that started my obsession and this year is no different. As I look back a these 10 years I've been playing FIFA I see a lot has changed and here is my (RE)view of this years FIFA 14. The game play has improved with player movement being much smoother and more free flowing. I constantly found myself holding possession of ball much easier then previous installments. While I found that the AI is able to take the ball from you much faster and with ease if you try to full on sprint pass or even run next to them down the flank, which was not the case in the past. This better ball retention led to easier trick completion/success (which I had difficulties with in the past). The visuals look great with the additions of the crowd being 3D and being able to see the outside of the stadium upon your teams entry to the field. I had a problem with the the way they designed the athletes face, even tho it is very detailed, I hated the way they smiled when they scored a goal because they all had the same smile and it wasn't even a normal one at that. It looked more like the jokers smile, like he recruited them all (hope they change that next year lol). This year they have removed the "Creation Center" and "Custom Music" from the PS4 version. Seeing as the PS4 cannot play mp3 files on it I can see why they chose to leave it out but this was one of the draw backs for me since I got tired of their playlist. Bummer. The two game modes I play is either "Kick Off" or "Career". Kick off has not changed much for the past few years. 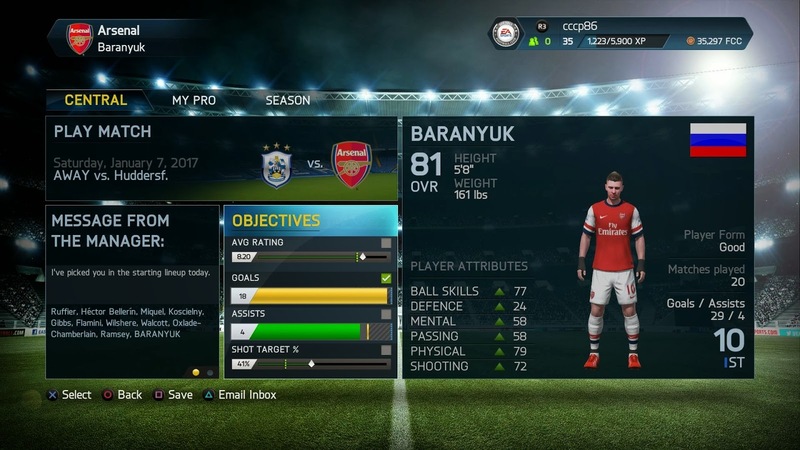 Career mode has changed slightly with the new menu which has lead to easier navigation of your players attributes and performances. Player objectives are all on the home part of the menu so you don't have to go looking around trying to find out how many goals, assists, shot %, or avg rating you need by the end of the season. This change has let me jump into the next match faster. This latest installment has excited me for the first time since 11'. 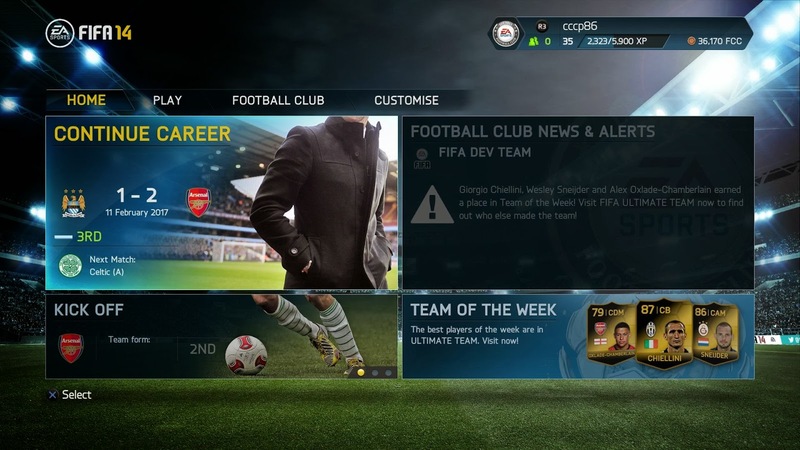 It's like a breath of fresh air for FIFA fan.